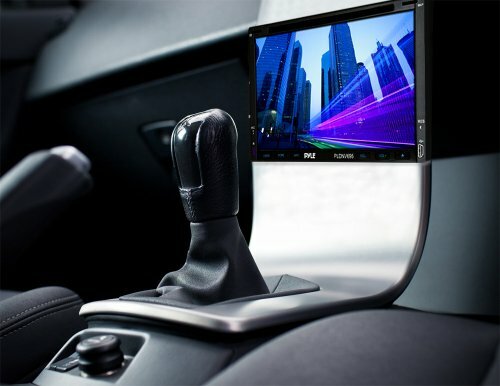 Check out this powerful in-dash multimedia touchscreen video head unit from Lanzar. 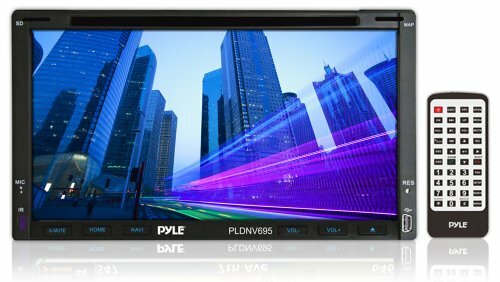 It’s equipped with everything you’ve come to expect: GPS, auxiliary inputs, video and audio playback from USB and micro-SD cards, an AM/FM radio, and so much more. It all comes in a double-DIN package with a beautiful, crystal-clear 7" display. Store up to 30 radio presets. Listen to music (MP3) or watch video (MP4) from a DVD, USB stick or micro-SD card. You can even connect your iPod directly (compatible with 30-pin dock connector only). With GPS and hands-free turn-by-turn directions, you’ll never get lost, and you’ll never have to take your eyes off the road. Includes maps for the United States, Canada, and Mexico on a 4GB micro-SD card. 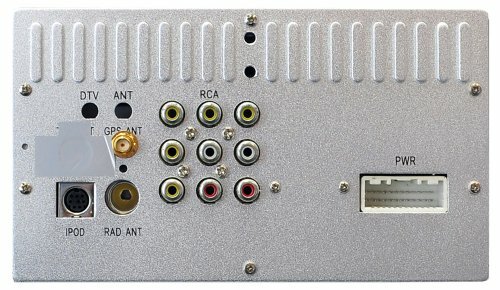 Achieve up to 320 watts of output power - 80 watts on each of four channels. Use the console buttons to tweak the brightness, contrast, hue, and chroma to your exact settings - or use the included remote control for more freedom.